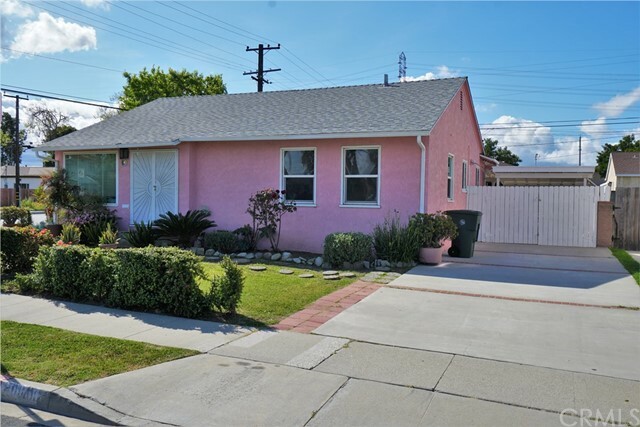 This home has been lovingly cared for by its current owner for the past 20 years. It's waiting for you to just move in and then personalize as you experience life in the home. This property has been maintained and improved throughout the years and is now ready for new owners. The children have flown the coop and now it's time to move on! Tears have been shed as memories are recalled and now it's your turn to create your own memories in this beautiful space! This single level home was originally 3 bedrooms and a family room when it was purchased 20 years ago. As time passed, they choose to convert the family room into a master suite as they remodeled and expanded the kitchen and created a space for laundry. The floorplan is open and you will love the possibilities it offers. The outdoor space in the back yard can be accessed by the french door in the living room as well as the sliding doors from the master suite. Would you put a jacuzzi spa in the back yard? Would you host birthday parties in the summer? The edison lights are already hung for summer dinners! In the winter, you can hang stockings from the hooks that are under the mantel of the fireplace. One of the seller's favorite spaces is the pergola in the front where she could watch the children play in the summer. This is truly a home waiting to share all its history with new owners! 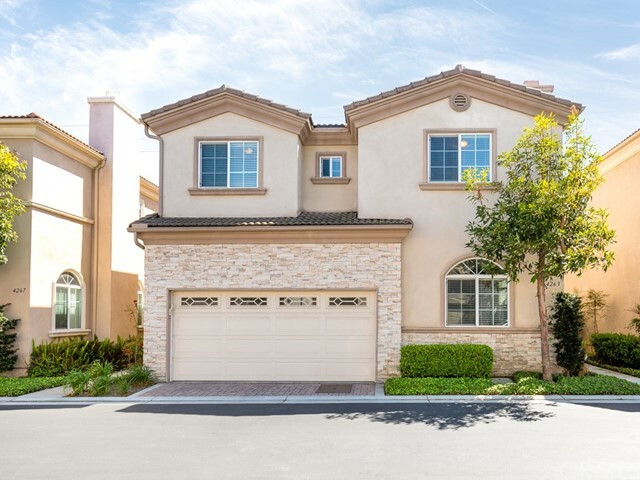 Lovely, spacious 2 level well-maintained townhome-acts like a sfr-features large living room, engineered wood floor, textured ceramic tiles, cathedral ceilings, lots of windows to bring in bright sunny natural light. This open/airy quiet/private home encompasses a dining area flowing into large kitchen with blue pearl granite counters & accents, jerusalem stone back splash, wood cabinetry, stainless steel hardware/appliances, great room with a beautiful custom surround of wood oak/stone tile fireplace & french sliding doors to patio. 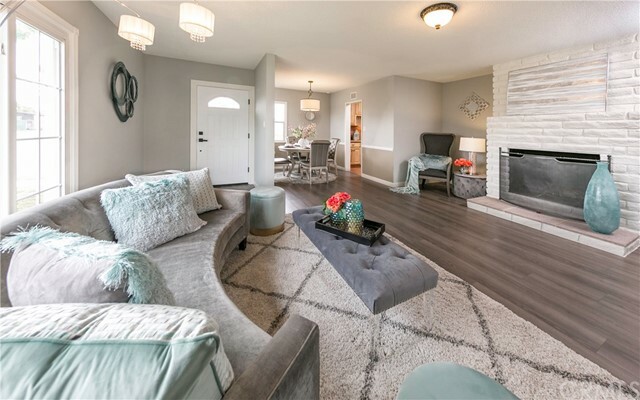 2nd level features 4 lg carpeted bedrooms: 2 bdrms share a full bath; jr master bedroom with full bath and beamed master bedroom (size of a 2-car garage) with a customized organizer in walk-in closet. Master bath features newer hardware, newer flooring, roman tub & custom designed textured window. Other recent changes include painting (inside & out), newer vanity lights thru-out, newer side gates, designer paint colors, crown molding, dual pane vinyl windows. Private patio encompasses a star jasmine bush, lemon tree, honeysuckle bush & yellow/red roses. Patio great for barbequing, planting vegetables/herbs or simply relaxing while listening to birds chirp! Attached 2-car garage has laundry hookups & cabinetry for lots of storage. 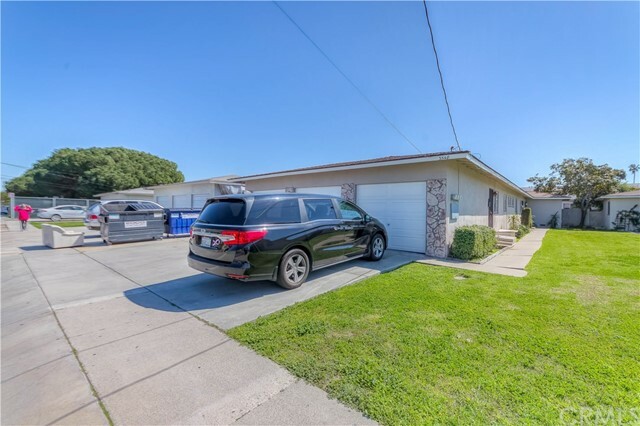 This beautiful home is located in the high ranking torrance school district, adjacent to columbia park, centrally located to freeways, south bay galleria/del amo malls, shops/restaurants, ~4 miles to the beach! This model perfect home is located on a very quiet street with no homes opposite giving a quiet feeling with a view of the fields across. 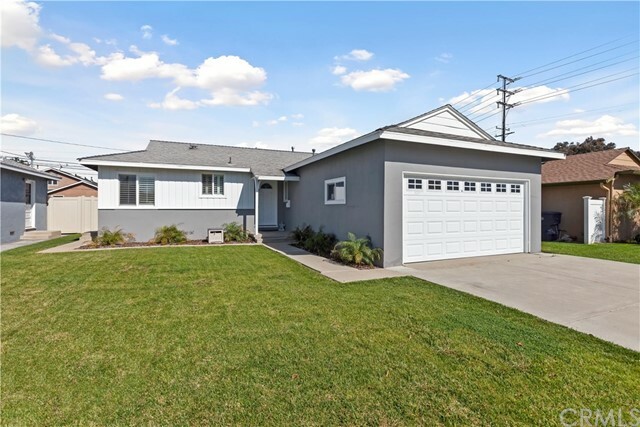 The home has 3 bedrooms 1 1/2 baths and a 2 car attached garage. The curb appeal is excellent with a brick and concrete driveway and pleasant colors. And the interior has been completely remodeled including a new kitchen with granite counter tops and beautiful cabinets. The main bathroom is newer and the original hardwood floors are refinished and look great. 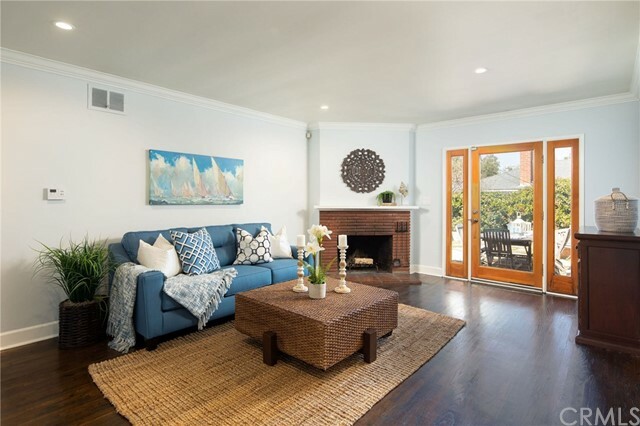 The living room has an actual wood burning fireplace, is very modern and open to the dining area. Sliding doors lead to the pool and back yard/patio areas. There are 2 ceiling fans in the impeccably decorated bedrooms. The back yard features a private pool just in time for the warm season. The refrigerator, washer and dryer are included. Don't miss the included 3d virtual tour, once you are on it click on circles and follow your way as you wish through the home. 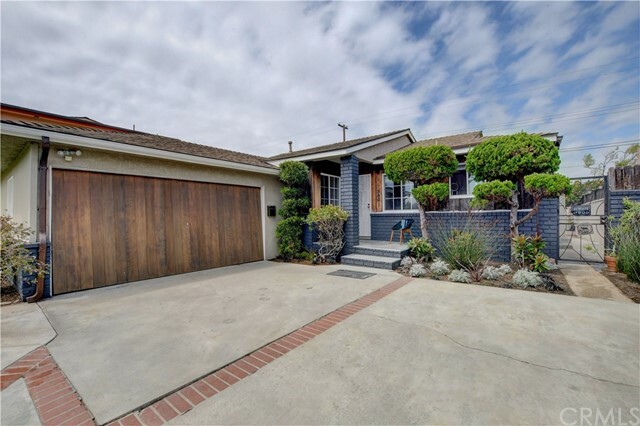 A very nice home located in the north west torrance. 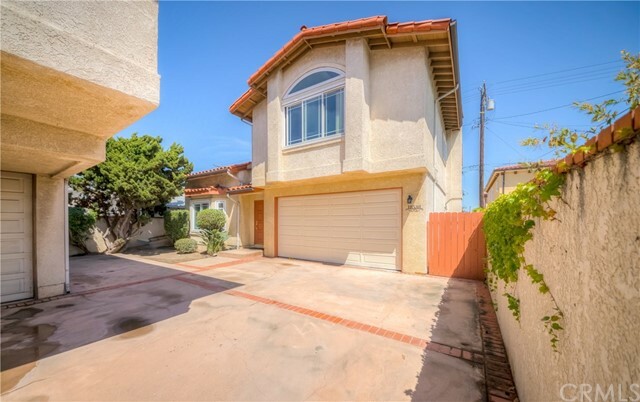 This house is super clean and features 3 bedrooms and 2 1/2 bathrooms. Upon entering the double door entry you are welcomed to a large living area with a dining area to the one side. The bedrooms are spacious with plenty of closet space. The bathroom in the hallway features granite counter tops as well as tile flooring. The master bedroom is a great space with sliding glass doors that lead you into the covered patio. Don't forget about the master bathroom with his and her sinks. Dual pane windows throughout with a lifetime warranty. Central a/c and heat. If you love to cook, the kitchen is a great size and features granite counter tops. There is also a half bath off of the kitchen as well as inside laundry. 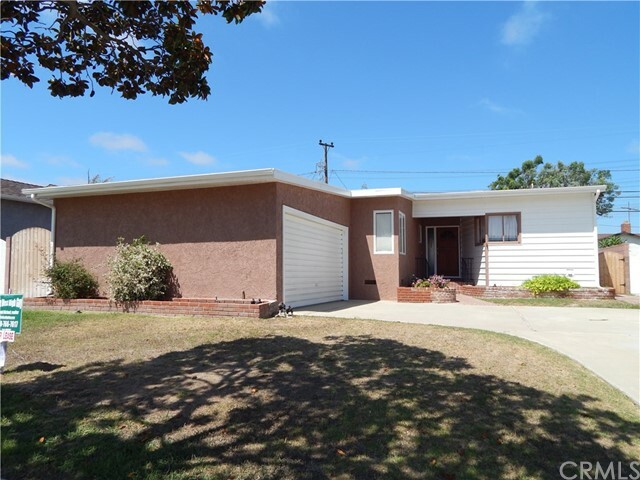 There is plenty of parking on this property which includes a 2 car garage and a driveway. The garage was used as a music studio an you may be able to convert it to an adu. The backyard has a pretty courtyard area covered with brick pavers. There is a lemon tree as a well as papaya tree. Great place to entertain with family and friends. Owner states that a new roof was installed on the house and garage in october, 2018. The shingles on the roof are solar reflective shingles. 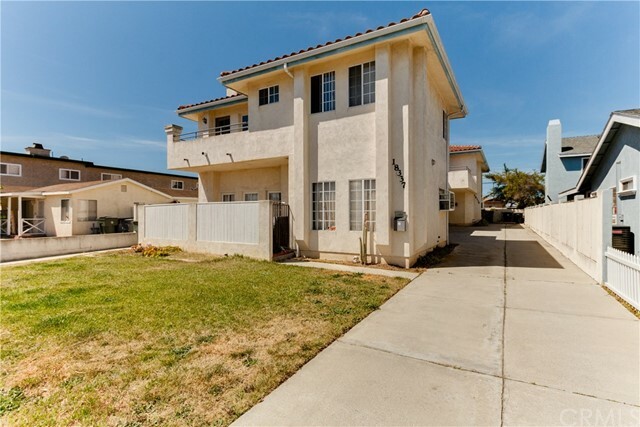 Close to shopping, dining, and schools. Buyer to verify all permits and information.